This is a hard review to write and do this book justice. Chase Winters Abandonato has been destroyed. The guy who was the jokester of the mafia, more optimistic than most, and the life of the party is just gone. The events we read in Enrage changed him. He now has no reason to live except to destroy the DeLanges. He wants to murder each and every one of them and he want stop until he does. It is a death sentence that he has no issue with. This is by far Rachel’s best book of the series and if you know me, check out my Elude review. That book absolutely gutted me. One of the ugliest cries I have ever had while reading. 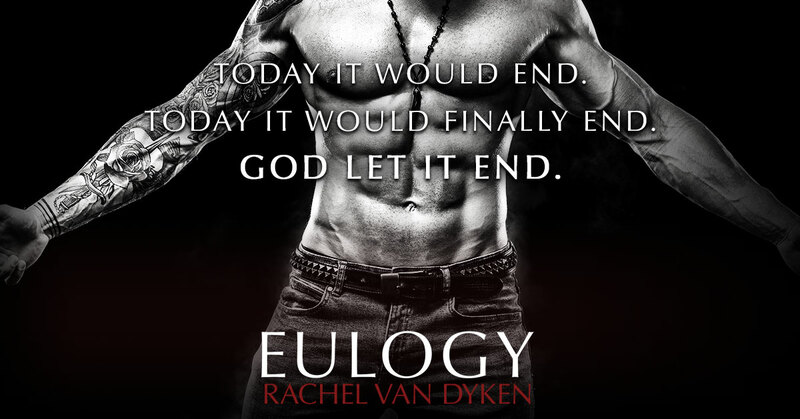 But Eulogy is the darkest and grittiest Rachel has gone with this series. 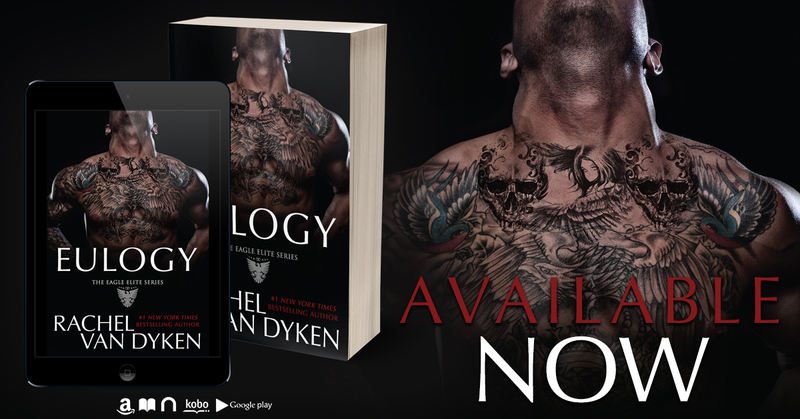 You feel everything that Chase feels as the story unfolds. You are sitting in the depths of hell with him as he tries to find his way. And the horrible part is you are left with quite a bit of uncertainty if he will survive. Rachel is known to torture us by killing beloved characters and I actually was worried. Chase’s possible savior comes in the form of the mafia’s new lawyer: Lucianna Smith. God bless this girl. She has no idea what she is getting into as she has no reference point for the mafia only movies and tv shows. 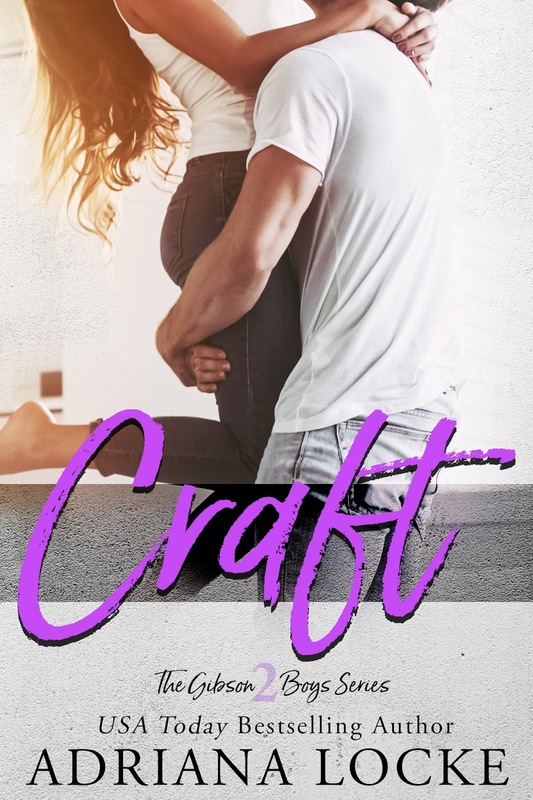 When she meets Chase, he is at his lowest. He doesn’t hold back and exposes her to his darkest side. However, Chase can’t stay away from her light. She is just a genuinely good person who has worked so hard to get where she is in life. She is selfless and wants to help no matter the cost. There is nowhere Rachel doesn’t go in Eulogy. There were so many intense scenes that played out on the pages. I found myself holding my breath…almost afraid to turn the page. The plot twist at 86% was a “Are you kidding me moment!” I totally didn’t see it coming….like at all. Those are the best kind, right?! Plus the white horse moment was a killer! The whole last 1/4 of the book was crazy!!! 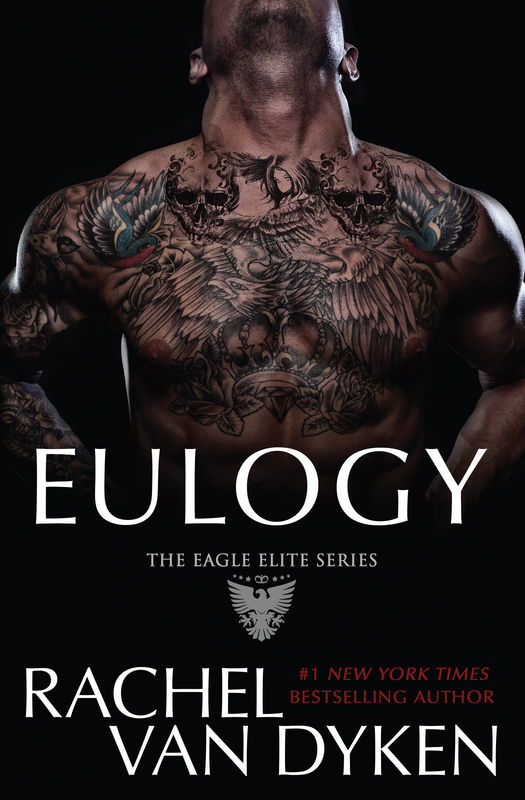 Eulogy was unpredictable, dark, alluring and absolutely heartbreaking to read. Some may say you can just pick this up and read it but I argue you need to read the whole series. You won’t regret it. You will enjoy every minute of it. I wait patiently for each new installment because they only get better each and every time. Blood In…No Out. This entry was posted in Book Promotion, Book Review, Book Stuff and tagged Favorite Author, Favorite Series, Mafia. I’m a day late but love this girl and her stories!